In September 1782 Streatham was let to the Prime Minister of the day, Lord Shelburne, for three years. Hester Thrale and Dr Samuel Johnson left Streatham shortly afterwards on 7 October 1782. Shelburne became Prime Minister in July 1781. 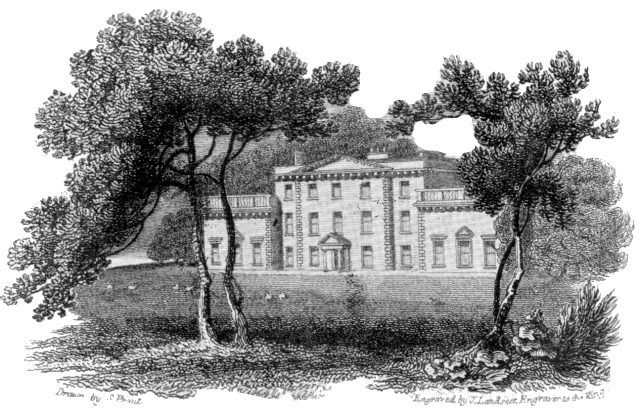 Shelburne used Streatham because his own home at Bowood in Wiltshire was too far away. 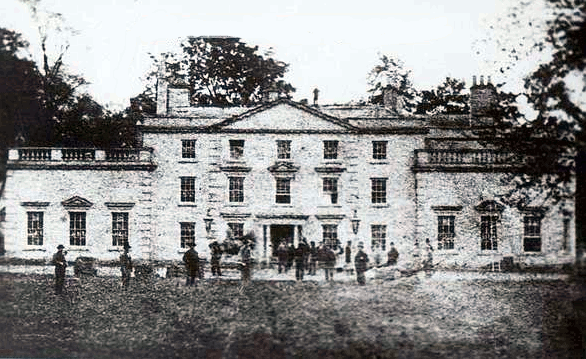 Peace with France, with whom Britain was then at war, was negotiated at the Thrale's Streatham Park whilst Prime Minister Shelburne was in residence. Jeremy Beptham tells of meeting the Viscount de Vergennes, son of the French Prime Minister, in Henry Thrale's library, and hearing him ask, "Are there any such people in England as authors?" while Sir Joshua Reynolds portraits of Samuel Johnson and the Streatham worthies looked down upon him as sufficient answer. Shelburne resigned from Government in 1783, after which he had little use for Streatham, and he returned to Bowood. The following year he was created 1st Earl of Lansdowne. Streatham Park was let the following year to Major-General Dalrymple for a year. On 10 October 1786, Streatham was let to Thomas Steele of the HM Treasury by John Cator (Henry Thrale's executor) at an annual rental of £300 until April 1790. In April 1790 Gabriel and Hester Piozzi returned. Much damage was done during the seven and a half years during which it had been rented. £2,000 was spent on restoration which was completed by the time of their seventh wedding anniversary when the Piozzi's threw a grand party. Between 1795 and May 1807 Streatham Park was let to Mr Giles of Mark Lane Tower Street, a Cornfactor for £550 per year. Mr Giles left when he was unwilling to pay the increased rent Mrs. Piozzi asked to offset the new war taxes. During Mr Giles tenure, the Piozzi's regularly stayed with Mr Giles at Streatham Park during the weekend. At Streatham Park, our long not tedious Journey came to an End. Mr Giles was not at home, but had so provided for our Reception that it seemed as if we were at home; & we sent for Mr Davies & little Dear1,& behaved as we would have done, had the Place been still our own.—A Billiard Table somewhat crouds up the Library—else everything appeared changed rather for the better than the worse—Books of enormous Value drove my old Rums behind them, & for Collections of curious engravings—Oriental Landshapes, Chinese Dresses & Customs, fine Holbein Heads & exquisite Specimens of Natural History: we must I think go to Peter Giles the Cornfactor, & his Friend Mr Ewen—a broken Apothecary as I understand; who purchases & arranges Things for him, with very solid Judgement & very excellent Taste. Since I was connected with Men in Trade,—or in the Commercial Line as the present wretched Phrase is; they are most exceedingly improved in their Desire of Improvement—yet ’tis not wholly for Improvement neither that they collect these Books & Prints and Rareties. There is a Spirit of Emulation among the rich ones, who shall possess the finest Things of every Sort, & since Mr Giles does not (as I have heard Mr Thrale say he did)— regulate his Taste of Women by the Rule of which Girl was most in Fashion: He sleeps wth a fat Housekeeper at home—& commits the Choice of his dead Friends, instead of his living Mistresses, to Fancy of a Person upon whose Skill in Selection he relies. The Voyages are bound with a Curiosity of Elegance wholly new to me; a Ship upon the Back of each Volume going out, or coming home—So beautiful! But not the House only, the Garden gains surprisingly by our Tenants heavy Purse & liberal Hand; He has new planted the Espaliers—new clothed the Wall & even brought Earth at an immense Expence to promote the Growth of Trees he takes no visible Delight in—any more than the Books—& I think rather less of the two. He goes not round His Plantations twice in a Season—lives in London getting Money all Morng and comes home on a Saturday to drink hard & play Billiards till 5 or 6 o'Clock o’ Monday—when the earliest Workman's Bell rings not till he has been arrived in Town some Moments, & been busied in the Corn Market:—leaving old Streatham Park a Brothel for his Servants: each of whom is a Relation: Brother, Sister, Niece or Nephew to the fat Bedfellow who stays behind, when better Sport offers not; —& whose Absence is much desired by her Family—who follow her with Curses to the Door. So live the Rich Men of England!—& so I lived with them! & shared in the good Dinners given by the Master of the House: whether Business carried him to London, or desire of Pleasure in our Company brought him back into the Country wch seem'd always as if illumined by his Return, who I believe cannot be ill-humour'd even for an Instant. Never did my Eyes contemplate a Character of such perennial Sweetness without Insipidity: for Mr Giles is no polish'd or varnish'd Mortal, but endow’d with a Temper desirous of Enjoyment, & willing to find it in every thing that offers. My Time pass'd much less unpleasantly in his—& his coarse Friends’ Society, than my own fine friends could easily perswade themselves to believe;—but He really so liked our being there, & it was so convenient in Point of Expence—I made myself very happy, & let him the Place again most willingly for six Years more, & he is to pay any new Taxes which may be put on, while we go forward as accountable for the old ones—his Rent 550£ o'Year. In 1807 Mr. Gilles let Streatham Park to Mr Abram Atkins who leased the house for seven years at £500 per year, plus all the taxes except the property tax. At the end of this lease there was so much dilapidation that extensive repairs were necessary. The house was then leased to Count Lieven the Russian Ambassador for three years at £600 per year. He cancelled his lease on 14 March 1815, because he could no longer afford the rental. In 1798 some land from Streatham Park was leased to Reynold Davies who built Streatham University a school for children under 12 years old. A further field was leased to him in 1802. His lease expired in 1828.